On July 3 around 1 p.m., this 47-foot Alden picnic boat hit Watch Hill Reef off Watch Hill, R.I., and began sinking. 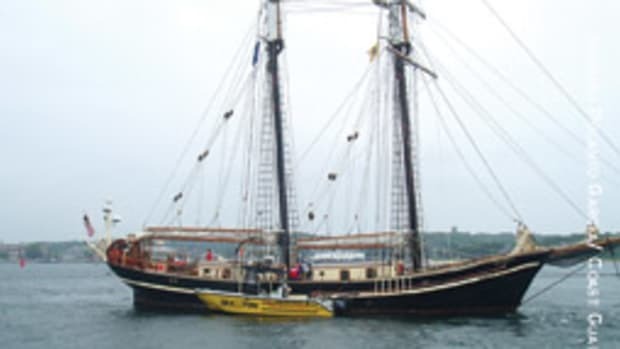 The boat had a broken propeller, struts and rudders, and the hull was completely penetrated on the port side, according to Don Rich, president of TowBoatU.S. in Mystic, Conn. There was also damage to the running gear on the starboard side. The boat rescue was a seven-hour process, he says. A good Samaritan rescued a boater in the water after a 27-foot boat became engulfed in flames about one mile east of Coast Guard Station Fire Island, N.Y. 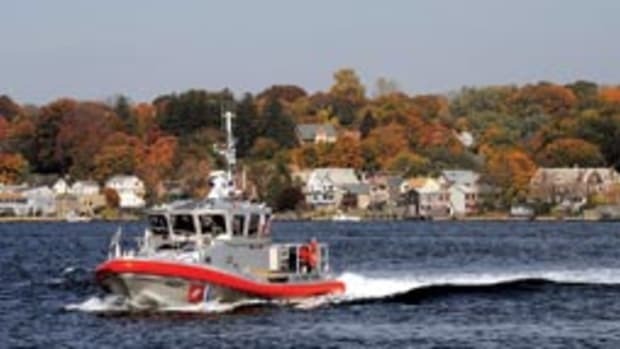 The good Samaritan contacted Coast Guard Sector Long Island Sound by marine band radio after seeing the boater attempt to swim toward shore. The good Samaritan transferred the boater to a Coast Guard Station Fire Island rescue vessel that brought him to awaiting emergency medical care at the station. The boat reportedly suffered injuries to his face and arms from the fire, according to the Coast Guard. The Coast Guard suspended its search for a 35-year-old man reported missing at Far Rockaway Beach in East Rockaway Inlet, N.Y. 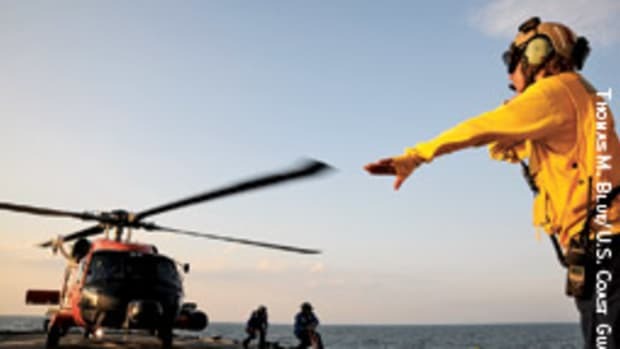 The man and a woman had gone swimming offshore when the woman began to have trouble. 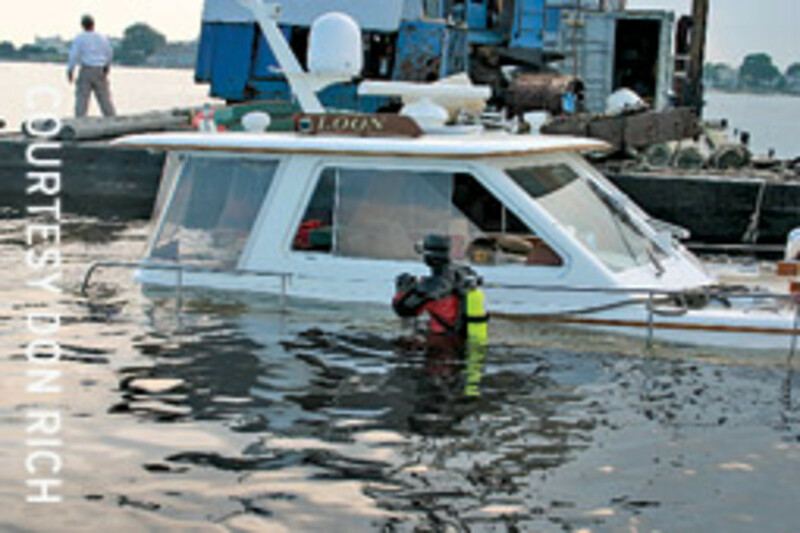 The man tried to help her to shore, went under and never resurfaced, according to witnesses. The woman was recovered by a good Samaritan and transported to waiting Emergency Medical Service personnel on shore. She is listed in critical condition. 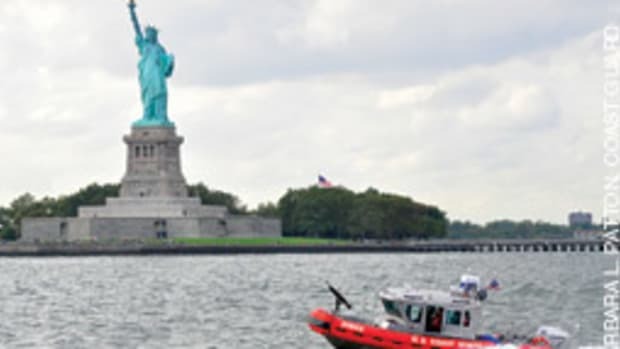 The Coast Guard and New Jersey State Police were searching for a man who jumped overboard from an 85-foot boat off the coast of Cape May, N.J., near Cape May Point. 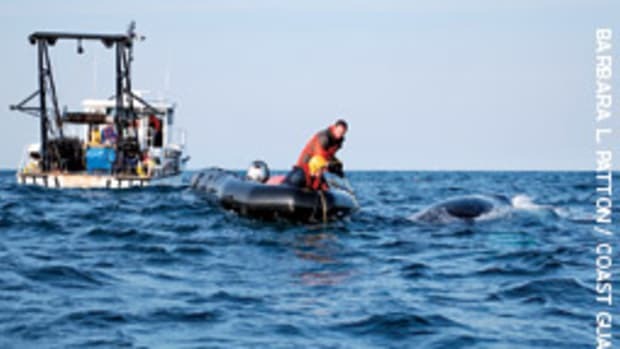 The Coast Guard received a call at 10:17 a.m. from a crewmember aboard the Spirit of Cape May, a dolphin- and whale-watching boat, reporting a passenger jumped overboard and was not wearing a life jacket. A Coast Guard rescue boat crew saved a family of four aboard a sinking boat eight miles off Bogue Inlet. The father called Sea Tow in Beaufort on his VHF radio and told them his boat was taking on water near the Beaufort “sea” buoy with his family of four aboard, including a 9-year-old. 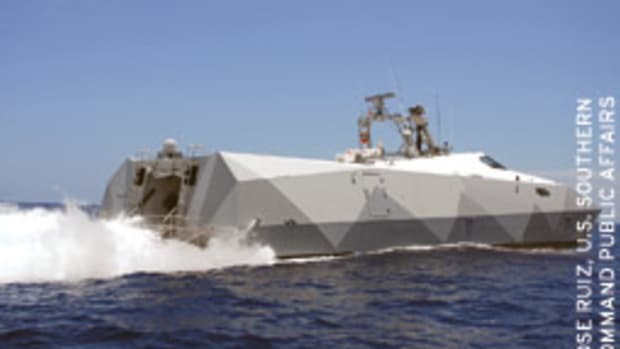 Later, a mayday was heard twice and communications were lost, but Coast Guard Sector North Carolina watchstanders heard the call. Two towers picked up the transmission, which gave the watchstanders two lines of bearing that crossed near the “C” buoy 8.5 nautical miles from Bogue Inlet. Station Emerald Isle launched a 27-foot rescue boat, while the watchstanders issued an urgent marine information broadcast in case someone nearby might be able to help. The rescuers arrived and found the family — three clinging to the capsized boat and one floating in the water — all wearing their life jackets. They retrieved everyone from the water. Mishaps & rescues - Connecticut and New York - Jan.